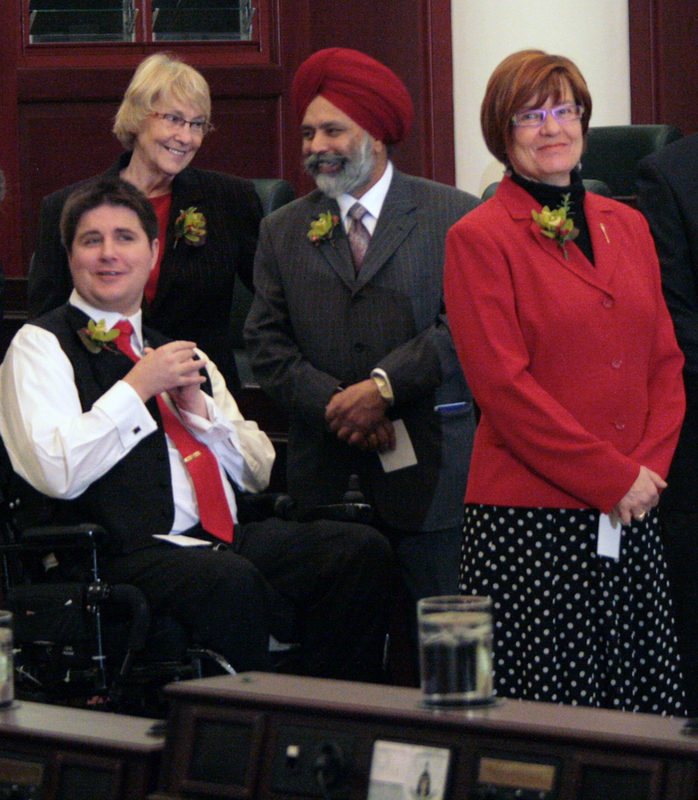 Darshan Kang (centre) at his swearing-in ceremony in 2008. Also returning to Legislature are (from left) Kent Hehr, Bridget Pastoor and Laurie Blakeman - though Pastoor returns as a PC MLA. Hehr sometimes affectionately refers to Mr. Kang as "The Kanger." Last night I reported that it appeared as though Albertans had elected at least three, possibly four Alberta Liberal MLAs. I'm gratified to report that not only did Raj Sherman indeed emerge victorious in Edmonton-Meadowlark, Darshan Kang has also been reelected by the voters of Calgary-McCall. So by night's end, Albertans re-elected all five Alberta Liberal incumbents. Given a media narrative that pitted Wildrose against Tory while virtually ignoring the other parties, I think that's a pretty good result.